You Are Here: Home > DIY Forum Home > DIY and Home Improvement Forums > Glazing and Double Glazing Forum > Composite Front Door With Dye Coming off When Wiped? We just got a new composite red front door. It's a door manufactured by Door-Stop, but sold by a reseller. When I clean this door with just water and paper towel or cloth, the door dyes them. I have attached a picture showing this. I'm afraid something is wrong with this door. 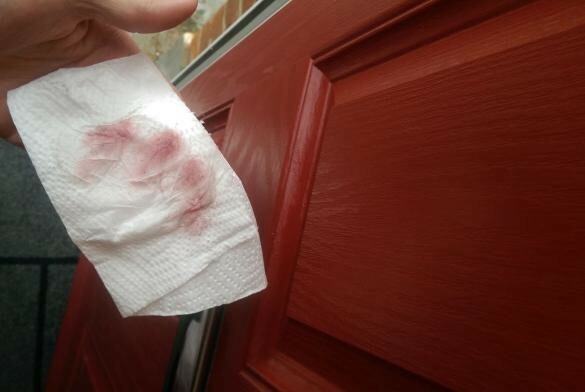 Is it normal for a composite door to dye like that?